Make sure you leave some time to browse in our Museum Shop! 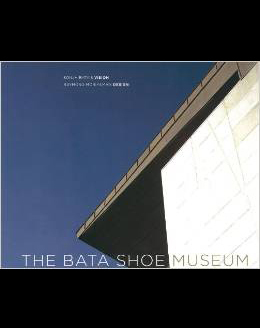 Filled with a selection of thoughtfully-chosen items inspired by the Bata Shoe Museum’s collection and exhibitions, the shop has an ever-changing selection of books, ornaments, gifts, paper goods and more! Opening hours for the shop are the same as those for the Museum. Remember – Friends of the BSM always enjoy at 25% discount in our shop. Find out how to join our support program here. This book was published in conjunction with the launch of the Museum’s ground-breaking exhibition On Pedestal: From Renaissance Chopines to Baroque Heels, which included an in-depth examination of chopines, one of the most unusual forms of footwear ever worn in Western dress. 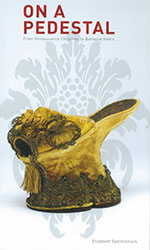 Written by the Bata Shoe Museum’s senior curator Elizabeth Semmelhack, it explores the political and socio-economic structure of 15th – 16th century Europe and the intrinsic link between textiles and chopines. This is the third book in a series that takes an in-depth look at the history of elevating shoes in Western dress. For many people the high heel is an icon of femininity but it hasn't always been this way. 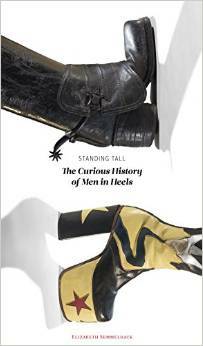 This book traces the long history of men in heels from the heels invention in Western Asia as a form of equestrian footwear and its adoption by men in the early 17th century to the feminization of the heel over the course of the 18th and 19th centuries leading to to our current cultural sensitivity about men in heels.